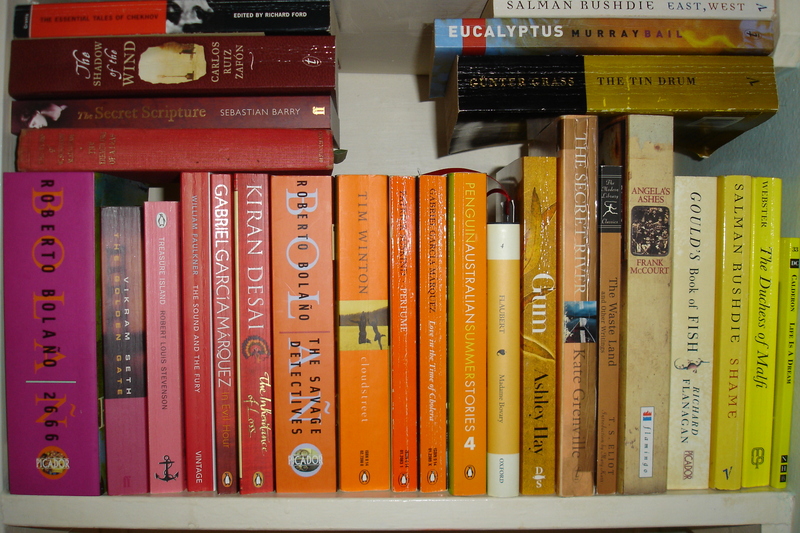 An update to the Bookshelf Rainbow in honour of my recent completion of The Color Purple by Alice Walker. It is a fore-shortened snapshot of the current Purple-Red-Pink-Orange-Gold section of the rainbow. You can find a slice of it on my home page header above. Ironically, The Color Purple’s spine is white so it misses out! 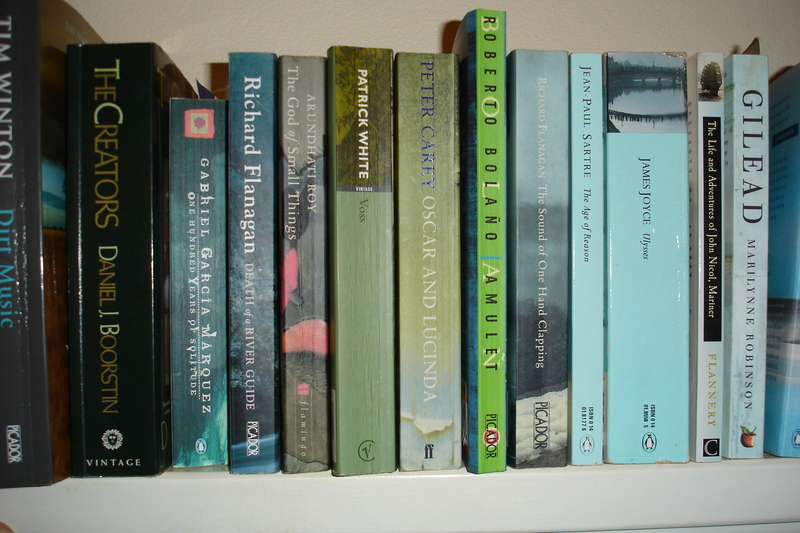 I’ve taken a quick snapshot of the current green portion of the bookshelf rainbow. I’m somewhat limited in my ability to capture the full rainbow as most of my books are in storage at present… but judging by the quality on offer in this very small selection, a green spine would not be a bad choice for any aspiring writer!